Our community partner, Zoe Barry, Founder and CEO of ZappRx,, recently traveled to Uganda and Rwanda. for distribution to children throughout her trip. Note: Cautionary tales promoting chastity are posted on the closed shutters when this “dialy” school is done for the day. Young girl in foreground is balancing a machete on her head. Obviously more coordinated than most US toddlers! Armed guards accompanied Zoe and her companion as they delivered books. Everyone loves to see themselves! Zoe, delivering books to members of the Batwa Pygmy Tribe. 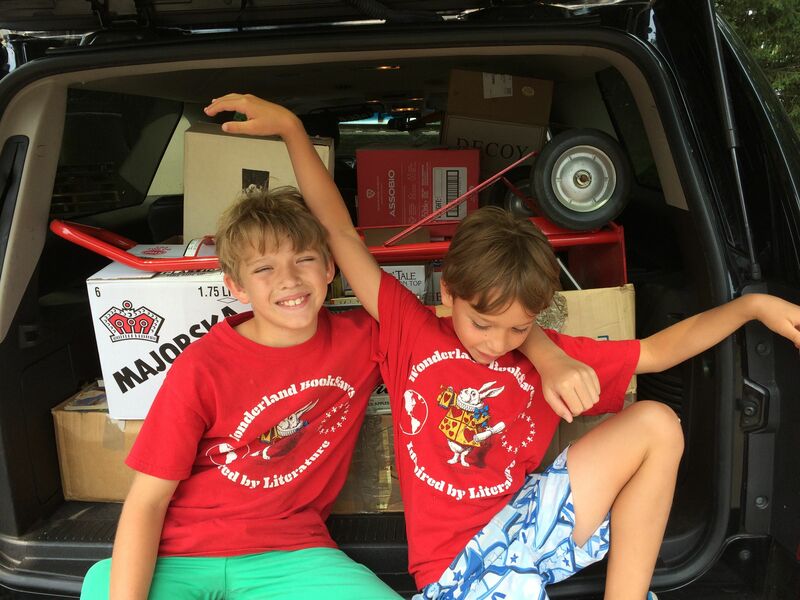 On Thursday June 9, Team Wonderland BookSavers donated 15,000 books which are currently headed to Zimbabwe and Ghana. Along with the books, we also donated over 100 letters written by the children at the Wetherbee School in Massachusetts. These letters will be going to children in Zimbabwe. We methodically sorted the books based on whether they were primary or secondary reading level. Then, we packed the sorted books into labeled boxes. Our community partner Mark Grashow, the president and co-founder of US Africa Children’s Fellowship, came with a tractor-trailer for us to fill with our books which will be delivered to Africa. When Mark arrived, we began loading our books into his truck. We carefully arranged the boxes to maximize the space and to ensure that the boxes were secure so the books would be safe. After we finished laboriously transporting the heavy boxes of books from our palettes in the garage into Mark’s truck, Mark pulled out some pictures from his trips to Africa. He showed us children holding our books, and also recounted some stories of the children’s excitement when they receive our books. We are excited for our books to arrive in Zimbabwe and Ghana, and we can’t wait to see pictures and hear more stories about the children receiving our books! written by Brooks Morgan Today, 5/9/16, we visited Emily G. Wetherbee school in Massachusetts. We are thrilled with their generosity. Francine, writing coach and head of community service said, “We’re trying to teach our students, here, to give to others. I work in a community where the kids get 100% free lunch and they get a lot of free services; it is a community of poverty and yet, we try to teach them that it doesn’t matter; you can still give to others. This is one way for students to share with other people.” Francine’s words reflect our mission, the greatest gift is giving. 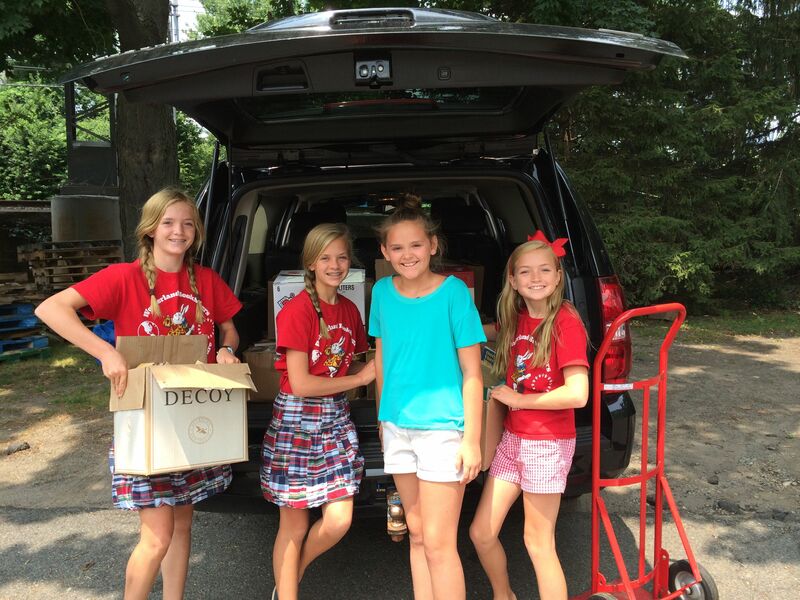 A 4th grade class helped us load the car with all the boxes that were donated. They were all very nice. Joshua was very good at carrying and organizing the boxes, Denise was so nice for holding the door open for those carrying boxes, otherwise we would have been locked out. Cameron, Adrian, Brady, Ninio, and Jose were very strong and able to carry the boxes to and into the car. Cameron, Joshua, Denise, Adrian, and Brady were also very good at answering some of our questions. After loading the car, I went inside and continued interviewing Francine. Francine spoke about the importance of giving to others, Alison, our team manager, said, “I think that’s so important, for kids who don’t have much to be able to give to other children. That’s one of the reasons that we started this letter writing campaign. We know it’s a way that kids can share with others, you can give a letter or a picture as a way to communicate. Francine added, “And I’ve read some of the letters and one or two of them almost made me cry because they’re saying something like ‘your new friend from America.’ At 4th grade, the kids are just so open, you know, they don’t know these people at all but they saw the video and saw what the situation was and thought oh, wow, we get to give them books!” Before we left, Francine wanted to give us more things to share with the children in Zimbabwe. She found a huge box of sticky foam letters and pictures and a huge stack of sombreros! We had a great time talking to the children and collecting the books. We hope to go back again if they want to collect some more books for us! 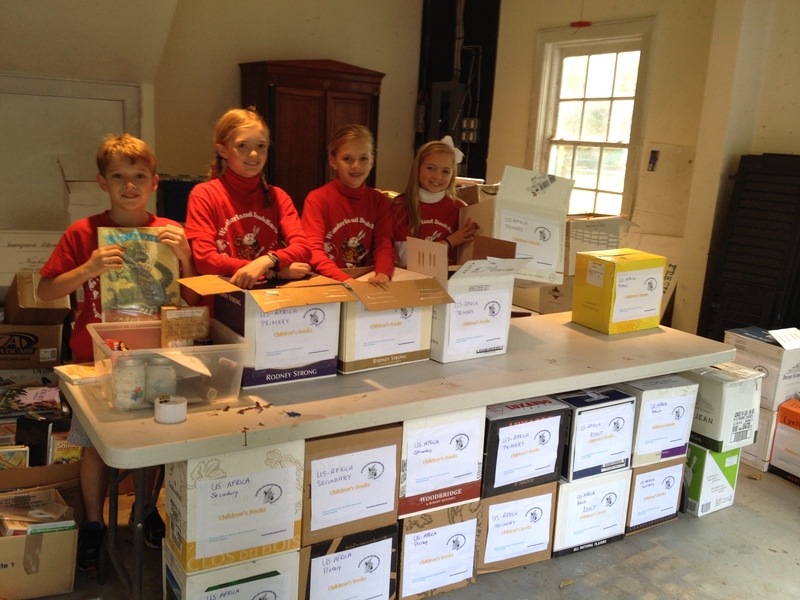 A few weeks ago, Greens Farms Academy, a private co-ed school in Westport, Connecticut, donated several boxes of books to Wonderland BookSavers. We are thrilled to add Greens Farms Academy to our list of community partners, and we will be donating their books to the schools in Africa we support. Our community partner, Mark Grashow, the President and Co-Founder of US Africa Children’s Fellowship, told us that we “currently are supporting the education of 170,000 children in 350 schools in Zimbabwe, South Africa and Ghana.” These books will have a tremendous impact, and will enable many children to further their education. Greens Farms Academy also has several outreach initiatives of its own, including the World Perspectives Program, Seed to Table, and a Sustainability Council. These programs focus on both local community service and involving students in their global community. Team Wonderland BookSavers is grateful for the books Greens Farms Academy has donated to us, and we will use these books to continue fulfilling our mission of promoting global literacy. 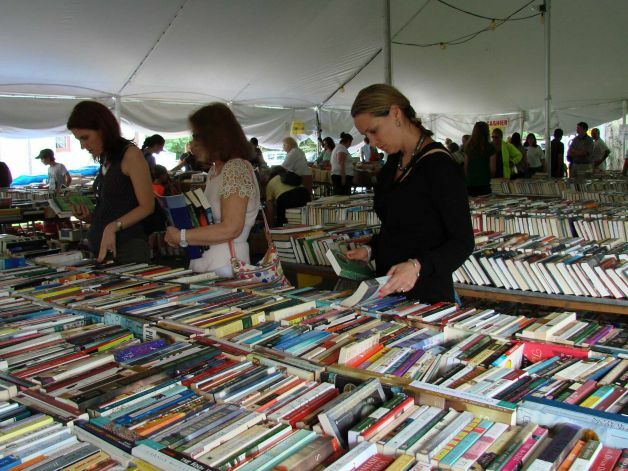 We know it is finally midsummer with the arrival of the Annual Pequot Library Book Sale. This sale is the largest in New England. Thousands of book lovers come from the surrounding areas, some as far north as Massachusetts and New Hampshire, some as far south as New Jersey. 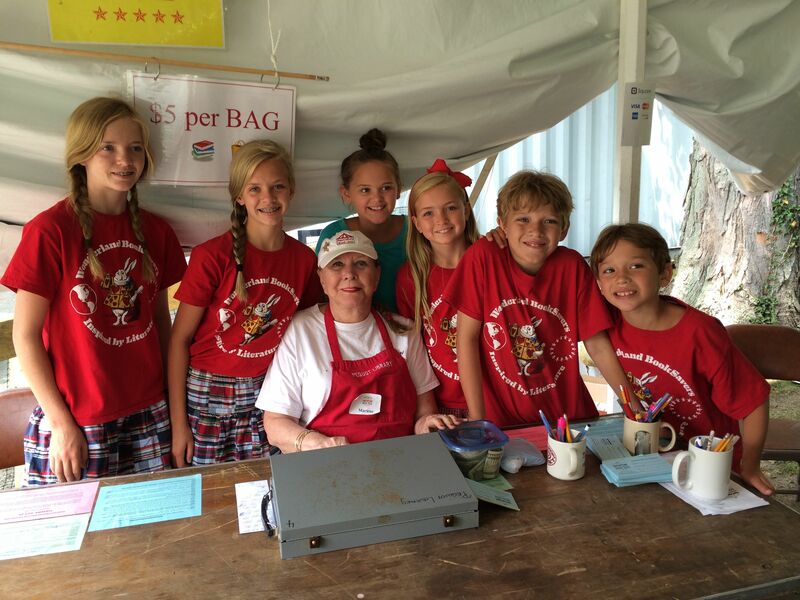 The tents are filled with dog-eared and beloved books on every subject. Booksellers, book lovers and book browsers peruse the books, each searching (and finding) those unique volumes that will inspire and delight. 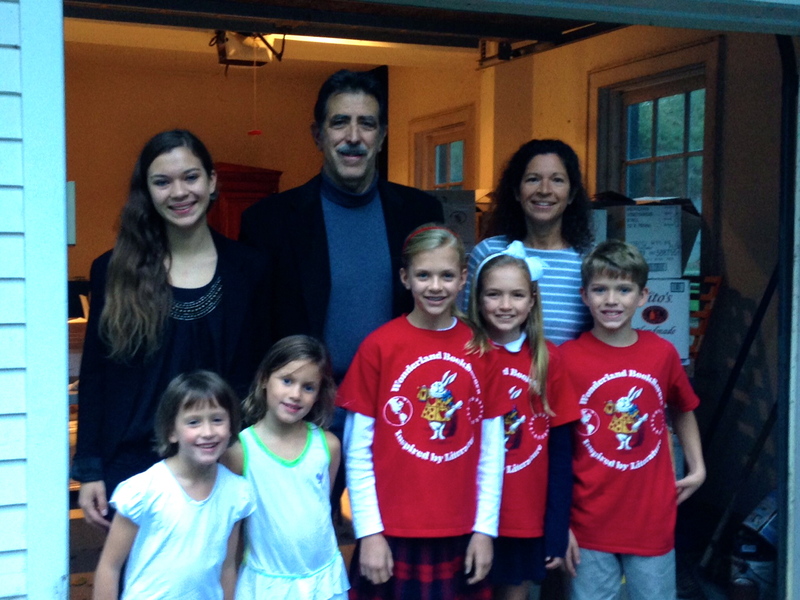 These past three days we went to the Pequot Library and set up a lemonade stand in rain and sunshine. We all huddled under an umbrella as it poured and were still huddled under it for shade when it was sunny. 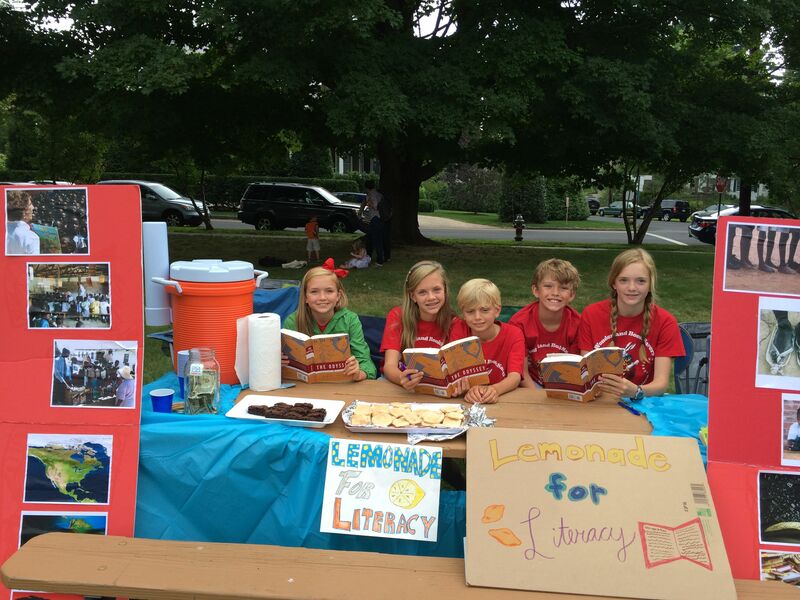 We made $212 by selling lemonade, different kinds of cookies, brownies, and cupcakes. I enjoyed making the brownies with my two little brothers and sister. On the last day of the sale we used our money for a great deal: $5 a box! 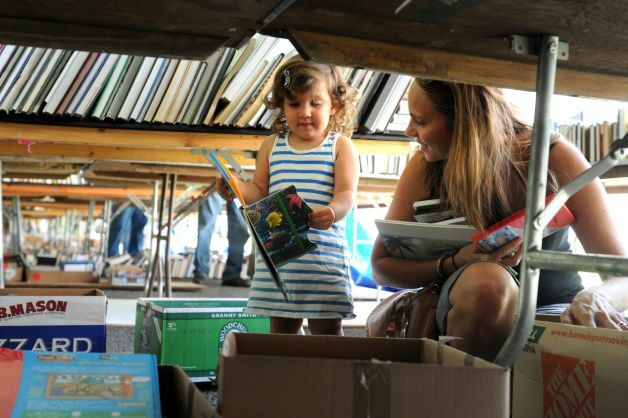 We bought 40 boxes of wonderful children’s books, over two thousand books filled with facts, fiction and fantasy. We chose classics, illustrated novels and inspiring picture books. Many of these books we have read and loved ourselves. The volunteer cashier was very impressed and asked to have a picture taken with us. She wrote down the quote on the back of our shirts, “Once you learn to read, you will be forever free,” by Frederick Douglass. Soon we will pack up the boxes and ship them to different parts of Africa, with the help of a donating corporation. My favorite part of this process was giving a cookie and lemonade to our first customer, a little girl with a beautiful smile. The Wonderland BookSavers got their start for the school year, packing books to send to Africa with the US-Africa Children’s Fellowship. Books were carefully sorted by age level (primary and secondary) and labeled. We’re really excited to see where these books are headed! 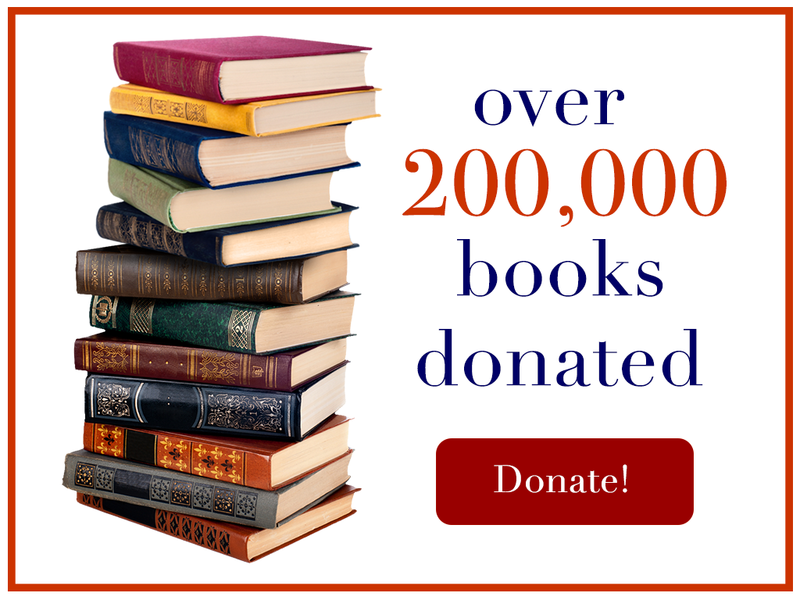 We look forward to meeting with the founder and head of the organization that will aid us in distributing the books.